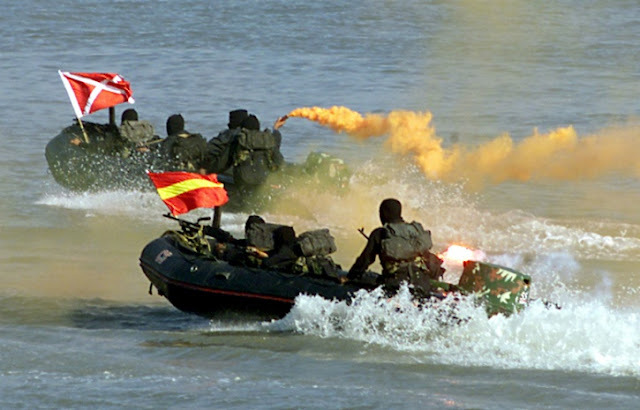 Hello Friends, today we would be talking regarding Indian Navy MARCOS Commando Training . MARCOS is the short name for 'Marine Commandos'. Trained in HALO and HAHO, equipped with the best assault rifles, sniper rifles and real time war equipment, Indian MARCOS are one of the deadliest Special Forces in the world. They are primarily trained along the pattern of the US Navy SEALs, with further training with the British SAS and compulsory training at CIJW (Guerrilla warfare) in Vairangte. One of the best parts about their training regime is the high motivation that is found in the members and their emotional training in addition to their physical training. Operating under extreme secrecy, MARCOS has carried out numerous notable tasks like the Kargil War, Operation Leech, Operation Swan, Exercise Balanc Iroquois 03-1/Vajrstormehar and many more. Nicknamed the "Dadhiwalee fauj" (bearded Army), MARCOS are the only Special Force after US Navy SEALs that can fight in water bodies with full-fledged weaponry. MARCOS are widely feared among the terrorists, who call them "Dadiwala fauj", meaning the "Bearded army" because of their bearded disguise in civil areas. 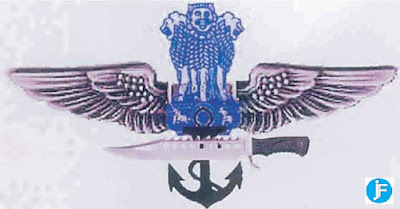 Indian Navy MARCOS also have a nickname which is Magarmach (Crocodiles). Its due to they usually stay in water for hours to attack or for a secret mission. 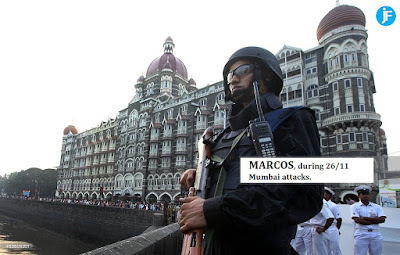 MARCOS has their Regimental Centre at Mumbai, Visakhapatnam, Goa, Kochi and Port Blair. Conduct clandestine attack against enemy ships,offshore installations and other vital assets behind enemy lines. To support amphibious operations including pre-assault ops. Conduct of surveillance and recce missions in support of military operations. Conduct of clandestine diving operations. 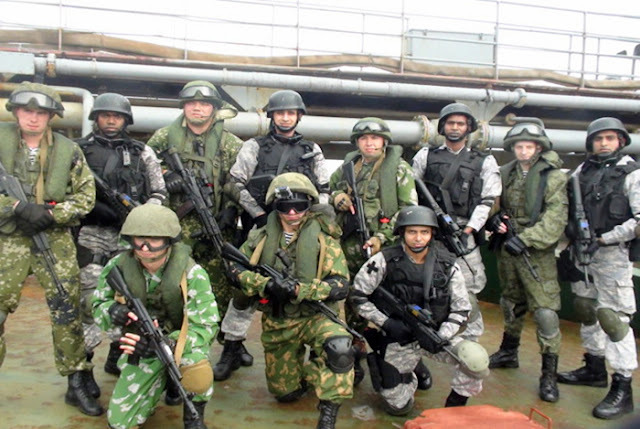 To conduct hostage rescue operations in maritime environment. 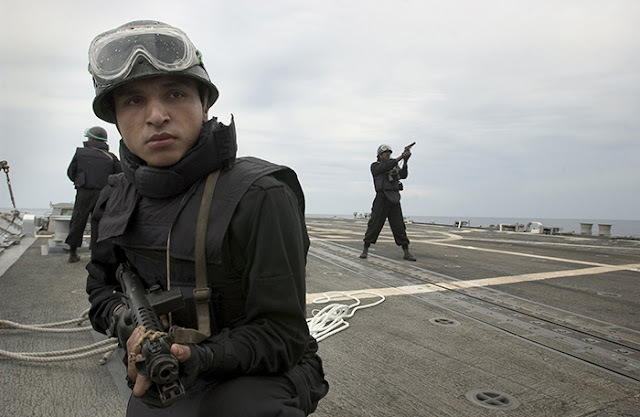 All MARCOS personnel are males selected from the Indian Navy. They are selected when they are in their early 20s and have to go through a stringent selection process and training. The MARCOS are capable of undertaking operations in all types of terrain, but are specialised in maritime operations. The force has undertaken numerous joint exercises with special forces from around the world. The MARCOS presently has approximately two thousand (2000) personnel, though its actual strength remains classified. Becoming a MARCO or a Marine Commando is no cakewalk. Trainees have to undergo one of the world’s toughest courses that can last between two-and-a-half to three years, depending on the specialization. Getting selected to be trained as a MARCO itself is difficult. The pre-training procedure, which includes a three-day physical fitness and aptitude test, sees almost 80% applicants being screened out. And it gets worse. A five-week-long ‘hell’s week’ follows this, which includes sleep deprivation and intense physical training. Those that make it through, or don’t quit on their own, actually proceed to the actual training. 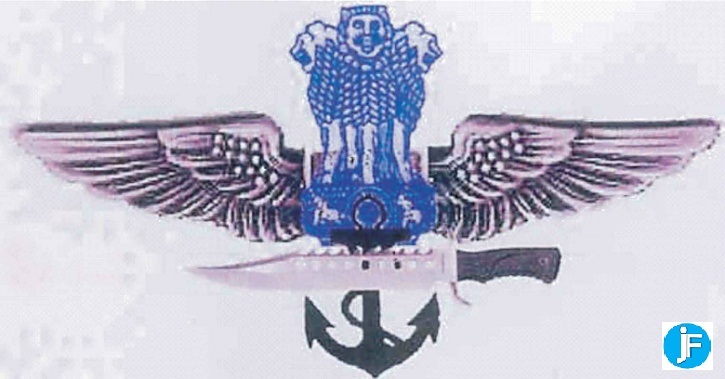 Indian Navy MARCOS Motto Says, "The Few The Fearless." Those that clear the selection then start undergoing the grilling course which includes basic training at INS Abhimanyu in Mumbai. The trainees then train in para jumps at the Paratrooper Training School in Agra and a diving course at Navy’s Diving School in Kochi. After this basic training, they join – on probation – their respective groups for advance training. 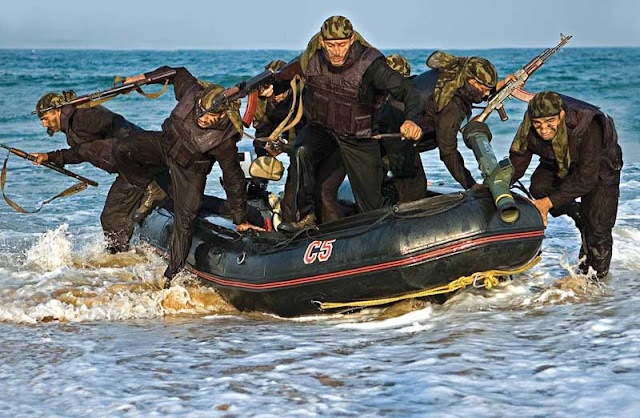 This includes training for counter insurgency, anti-hijacking, anti-piracy, clandestine operations, surveillance and reconnaissance, amphibious operations, unconventional warfare, and hostage rescue, among others. All MARCOS are static line para jump qualified and some are qualified for freefall (HALO/HAHO) para jumps – High Altitude Low Opening and High Altitude High Opening. 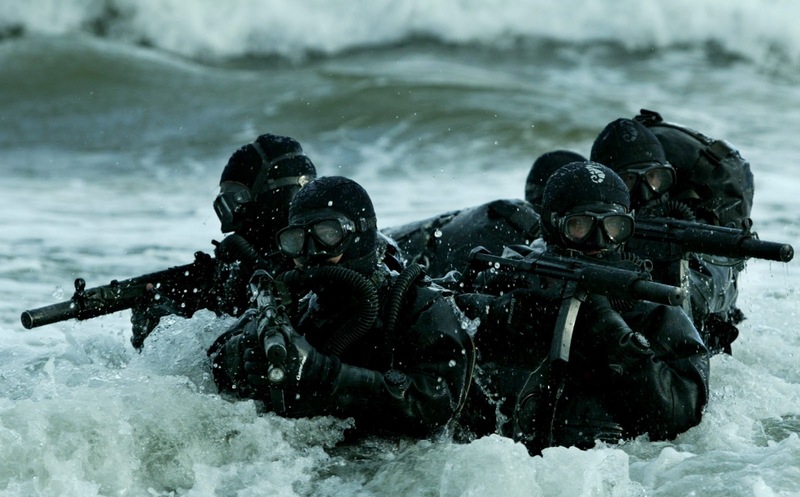 In fact, MARCOS are the handful of the special forces from around the world that are capable of being para dropped into the sea with the full combat load. MARCOS are also trained in High Altitude Commando Course at the Parvat Ghatak School in Tawang, Arunachal Pradesh, at the Desert Warfare School in Rajasthan, High Altitude Warfare School (HAWS) in Sonmarg and Counter Insurgency and Jungle Warfare School (CIJWS) in Mizoram. Their training makes MARCOS tough nuts to crack. 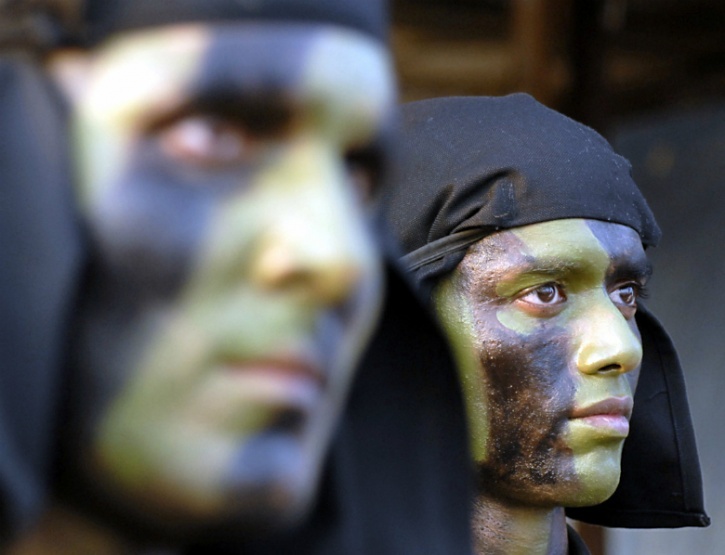 An Indian MARCO on an exchange program in the US topped the US Navy SEAL course with ease. After completion of training, a MARCO serves with the elite outfit for 3 to 5 years. The MARCOS are equipped with some of the best weapons in the world. The units are equipped with the Israeli Tavor TAR-21 assault rifle to which a 40 mm grenade launcher can be attached. The TAR-21 is weather sealed, so a MARCO can emerge out of the sea, weapon drawn and ready to shoot. Other weapons include the Heckler & Koch MP5 sub machine gun for close quarter battles, the SIG Sauer P226 and Glock 17 pistols and the Druganov and Galil sniper rifles and OSV-96 semi-auto heavy caliber anti material rifle. Apart from the weapons, they also operate two man subs, the Italian CE-2F/X100, for conducting covert underwater operations. The MARCOS are trained in every kind of weapon and instruments, from knives and crossbows to sniper rifles, handguns, assault rifles, submachine guns and bare hands. Being divers, they can reach hostile shores swimming underwater. Various special skills such as language training, insertion methods, etc. The Marcos are also preparing for urban warfare and have begun practicing on 3D virtual models of offshore installations to ensure a swift response during a terrorist attack. The marine commandos are undergoing regular training sessions in this computer-generated programme to be well-prepared for a strike similar to the 26/11 attack. Reliance Industries Limited (RIL) has provided a virtual model of its facility in Krishna-Godavari basin in the east, for the marine commandos at INS Kalinga, the training base for Marcos in Visakhapatnam. During the Kargil War, the MARCOS were tasked to undertake covert operations behind enemy lines. During the Mumbai attacks in 2008, they stormed the Oberoi Trident and Taj hotels where the terrorists were killed. Indian Navy Swimmer Delivery Vehicle. The MCF currently operates out of the naval bases at Mumbai, Visakhapatnam, Goa, Kochi and Port Blair. There are plans to shift the current training facility at the Naval Special Warfare Training and Tactical Centre to a new facility to be set up at the erstwhile Naval Academy in Goa. On July 12, 2016, the naval base INS Karna was commissioned near Visakhapatnam as a permanent base for the unit. So this was all about Indian Navy MARCOS Commando Training. Hope you would have surely liked our article. Feel free to share your views and do share this article. MARCOS Commando are really making us proud with their hard efforts for our country. We are really proud of them so just made a efforts from our side to share this article with you. Do share it make yourself proud too! 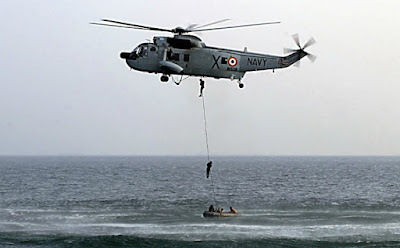 Feel free to share your views regarding Indian Navy MARCOS Commando Training in below comments.